A few days ago, I received a package from Jelly Bandz. My kids were so excited to open it and play with the bandz. 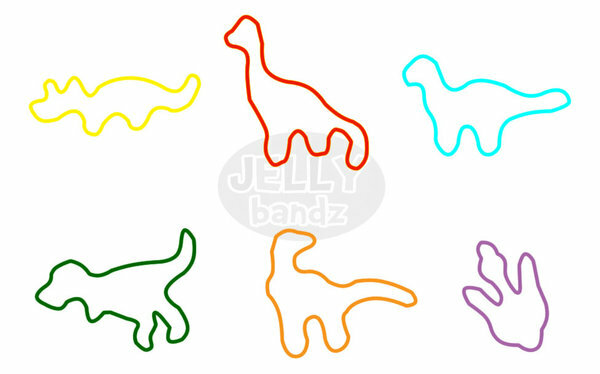 and Jelly Dinosaurs for my son. 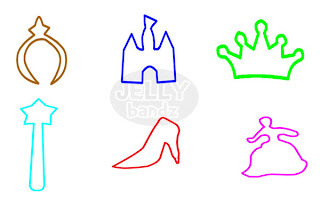 Jelly Bandz are themed-rubber bands that have been selling well in the U.S. and Europe since last year. It occupies 5 spots in Amazon.com’s Top 10 bestselling toys and games list and has been widely featured in US and European shows and major dailies. 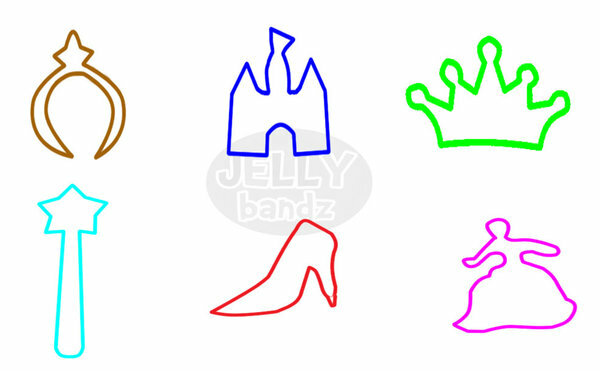 Jelly Bandz are targeted to children age 3 years old and up. It can be used as hair accessory for pony tails or can be worn as bracelets. In the U.S., school-age children are known to collect and swap them with their friends. 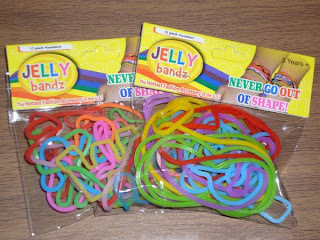 But even people from older age groups also buy Jelly Bandz to wear as a fashion accessory. 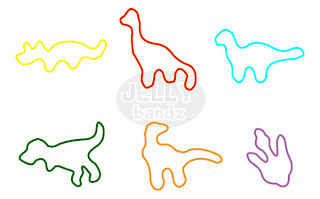 Celebrities such as Shakira, Mary-Kate Olsen, Sarah Jessica Parker, and Kris Allen were reported to wear themed-rubber bandz. At the same time, I think Jelly Bandz are also educational toys as parents can use them to teach colors and shapes to their younger kids. Jelly Bandz are available in Tod’s novelty stores in SM Megamall and SM North Edsa at a very affordable price of P49. Each pack contains 12 pieces. Bulk orders can also be placed through their Multiply page. My kids loved playing with the very colorful bandz. They used their imagination to create scenes from the Jelly Bandz and they also used their sorting abilities to put together the bandz that belong together. Of course, they also liked wearing the bandz! I definitely think that this is something that Filipino children would love too! Note: I have not been paid for this post. I received the product for review purposes only. Very cool. My kids want some too. thanks for sharing this. i know my kids would love to play with these,too.